Few things go better together than rugby and betting. The natural ebb and flow of a rugby match makes watching a game that you’ve got money riding on a truly exhilarating experience. Whether you regularly bet on rugby matches, or are just starting out, you should consider betting with bitcoin. It’s gained massive traction in the online gambling industry over the past couple of years because of how much faster it is than regular currency. Whereas most fiat money withdrawals take up to 72 hours, bitcoin withdrawals often take less than 24. Moreover, because bitcoin requires less overhead, bitcoin sportsbooks can often offer better odds than regular sportsbooks. If you want to give bitcoin a go, head to our beginners guide to learn more. You can also wager with popular ﻿cryptocurrencies﻿ like Litecoin, Monero, Zcash, Bitcoin Cash and Ethereum. The Premiership Rugby season lasts from September to May. There are 22 rounds of matches during the regular season, with each team playing each other both home and away. The team that finishes the season at the bottom of the table is relegated to the RFU Championship, whilst the top 4 clubs advance into the playoffs, which culminate in a grand final at Twickenham Stadium. Because it contains the top teams from New Zealand, Australia and South Africa, Super Rugby is regarded by many as the world’s pre-eminent rugby club competition. New Zealand is particularly dominant, having had a team win 15 out of 22 seasons since the competition’s inception in 1996. The European equivalent of Super Rugby is the European Rugby Champion’s Cup, which is contested between teams from countries that play in the Six Nations Championship. International rugby competitions are some of the biggest events of the year for bookies. The Rugby World Cup, hosted every four years and due to be hosted next in Japan in 2019, attracts thousands of bettors every year from all over the world. The next most popular international rugby competitions are the Six Nations and the Rugby Championship. The Six Nations Championship is held annually and contested between England, France, Ireland, Italy, Scotland and Wales. The Rugby Championship is its counterpart in the southern hemisphere, and is contested annually between New Zealand, Australia, South Africa and Argentina. Match bet – a bet on who will win a match, or if it will end in a draw. Half match bet – a bet on who will score the most points in the first or second half of a match, or if the points scored will be the same. 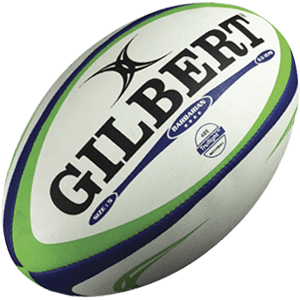 First tryscorer – a bet on who will score the first try in either the first or second half. Team to score first – a bet on which team will score first in either the first or second half. Total points – a bet on the total number of points scored in a match or half. This is most commonly a two-way market, which means you’ll bet on whether the total number of points scored will be over or under a set amount. Half with most points – a bet on which half will have the most points. Number of tries – a bet on the number of tries in a match. Like total points, this is usually a two-way market. Race to points – a bet on which team will be the first to score a set number of points. Nowadays, as bitcoin is becoming more widely used, major sportsbooks are starting to accept bitcoin and dedicated bitcoin sportsbooks are expanding their betting options. It’s a good time to be betting with bitcoin, and hopefully it’ll keep getting better. Who knows – with any luck it’ll be the currency of choice for sports betting within the next decade. Or at least we can hope!